Lucidal is a multivitamin containing over fifty ingredients that have been advertised to be beneficial for the human body and brain. Most of the ingredients have been reviewed and conclusions were the same for most of them- they all have the capacity to increase brain abilities. Some of the ingredients have been proven to have a beneficial effect on the brain. When the memory starts going, it’s much more than a minor inconvenience of life. When you start feeling foggy, losing keys, and forgetting names, doctors call this “cognitive fallout.” This is a signal that your brain isn’t receiving the nourishment that it needs to stay alert, focused, and relaxed. Lucidal gives you the ability to turn back that clock, with over fifty ingredients that have been blended and designed to improve brain functioning and moods, learning, focus, memory, and concentration. Even those who eat the healthiest of diets don’t give your brain exactly what it needs to keep away that feeling of fogginess. 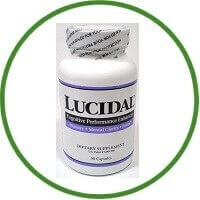 Lucidal was developed to offer proper nourishment to your brain to keep you feeling sharp, clear, and positive. Lucidal has been put through clinical trials and the full results of those are offered on the website. 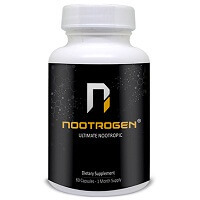 The claims are that the formulation improves mental clarity and energy, memory, cognitive reaction time, and concentration. Lucidal also reduces anxiety and depression and helps to improve the overall mood of individuals who take it. The studies also state that there are no side effects reported by participants. The recommended dosage is three capsules each day. No counter indications are mentioned, and the product’s website claims no negative interactions with other medications and that it is safe for all ages. Generally, people think that a supplement that contains vitamins and minerals can’t hurt them. However, vitamin poisoning is a risk, which is why even typical multi-vitamins have a maximum dosage. Because of the high concentration of ingredients, if an exaggerated dose is taken, dangerous results such as hypervitaminosis can occur, which can result in coma and even death if it’s not caught and treated in time. With Lucidal, there seems to be very little risk for most people, unless too much is taken. However, the safety of the product in children hasn’t been tested yet. All of the other claims of the manufacturer have been tested- and the supplement has been proven to do what it is supposed to do.